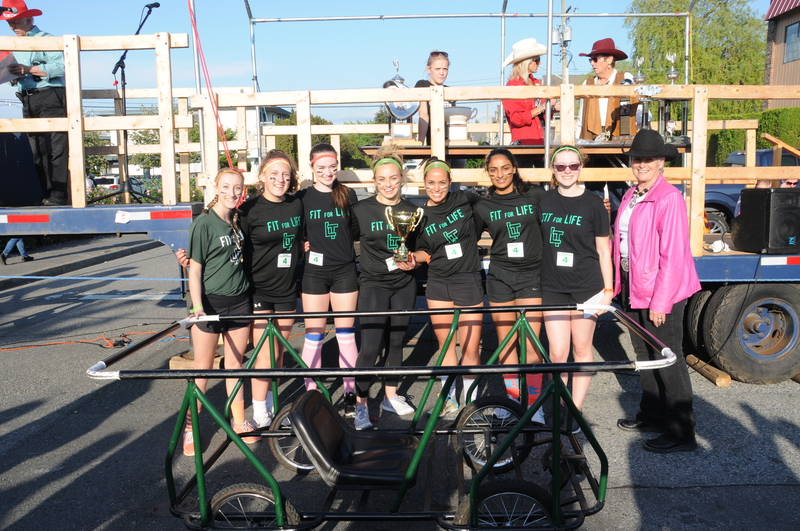 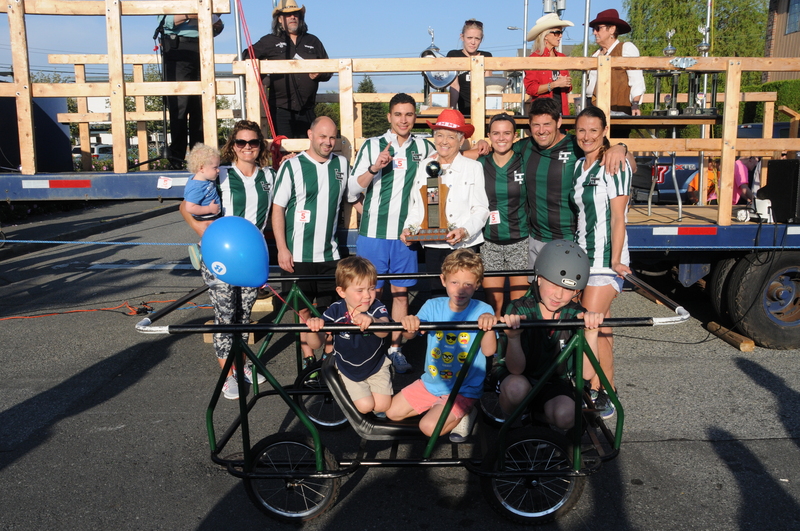 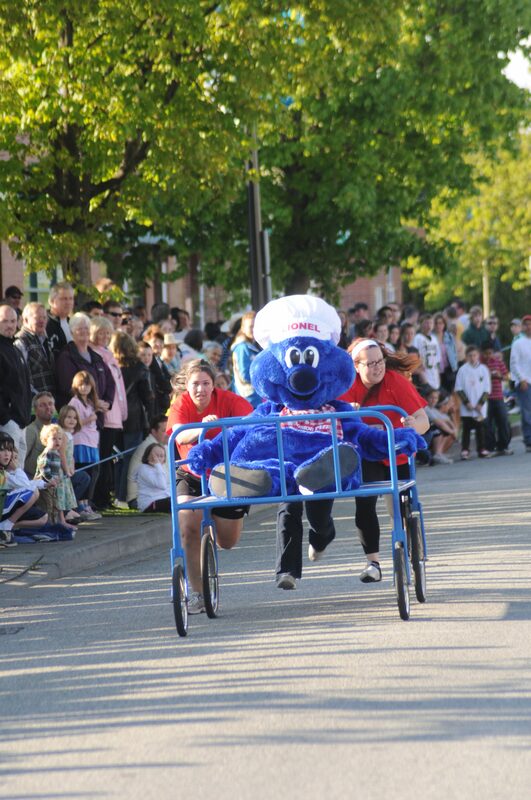 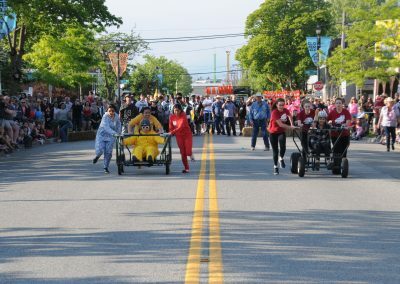 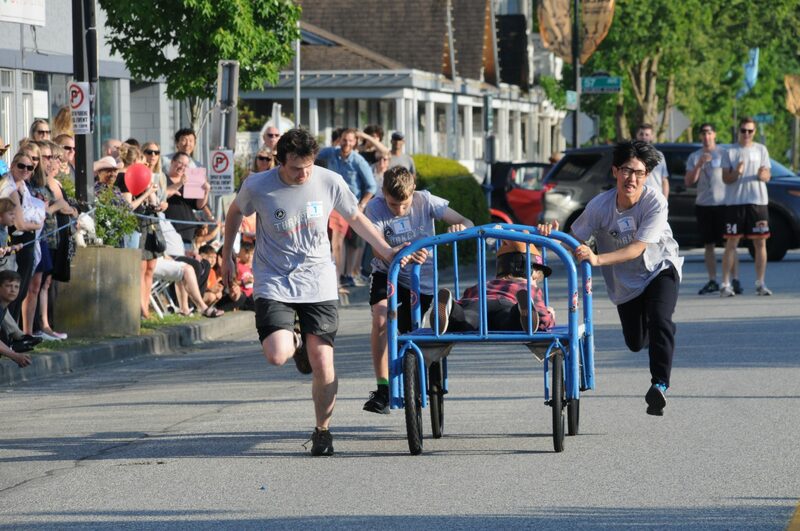 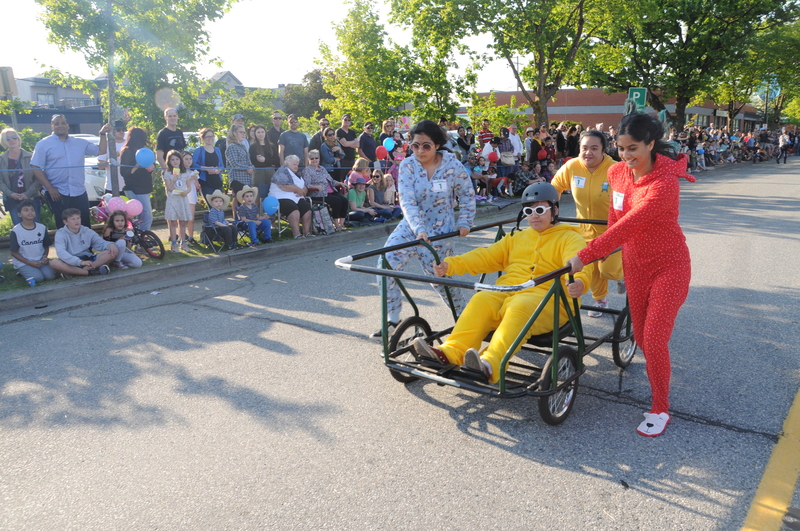 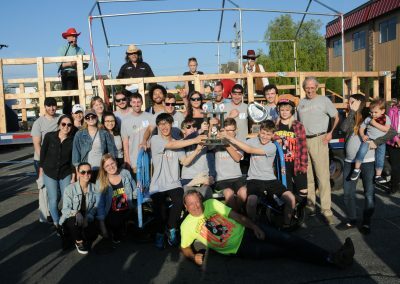 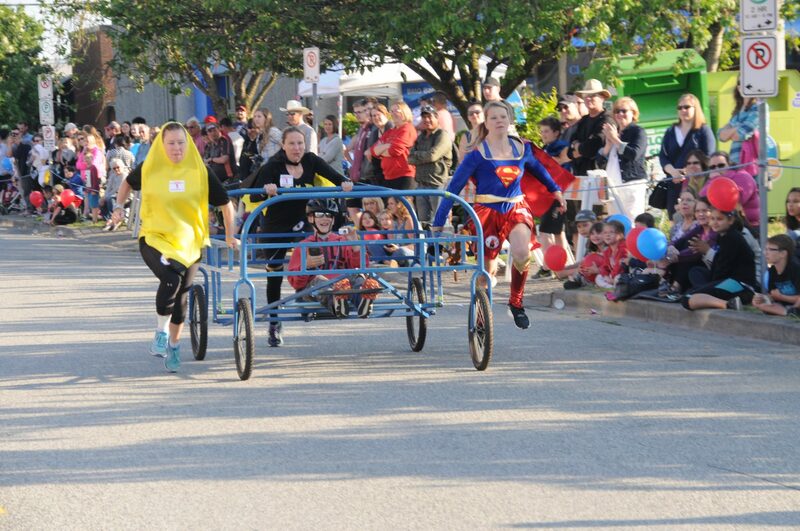 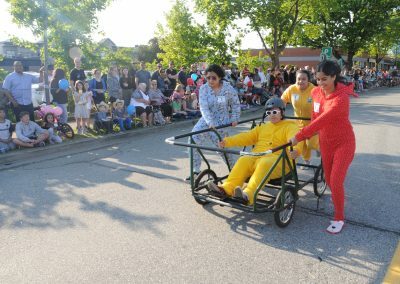 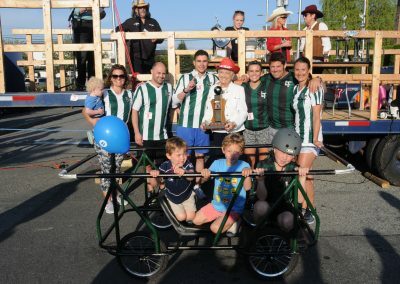 The Cloverdale Bed Races started in 1977 as a publicity stunt to build enthusiasm for the start of the annual Cloverdale Rodeo and Country Fair. 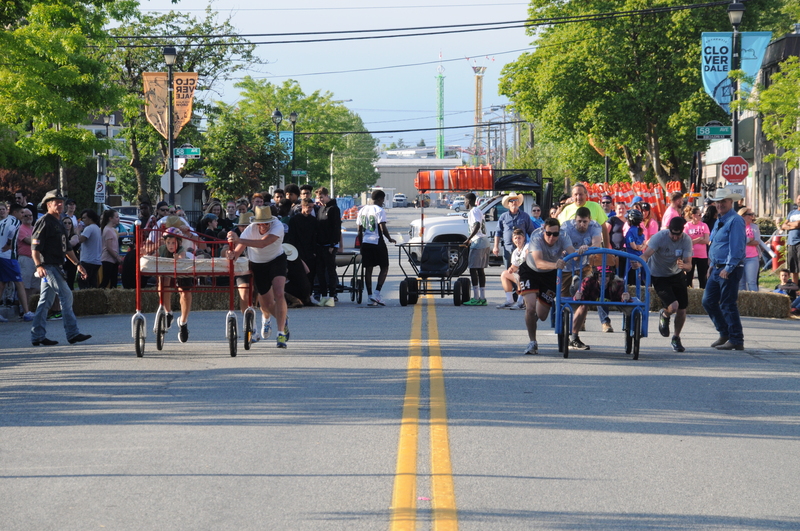 The original race was between the volunteer Cloverdale Fire Department and the local RCMP. 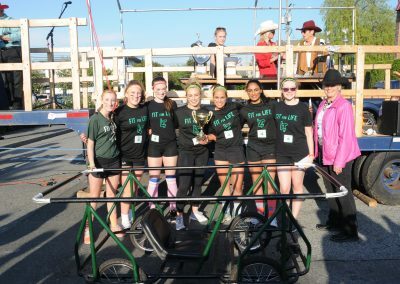 This fun and colourful event has grown and is sponsored by the Cloverdale Rodeo & Exhibition, the Cloverdale BIA and Elements Casino and happens each year on 176A Street in historic downtown Cloverdale. 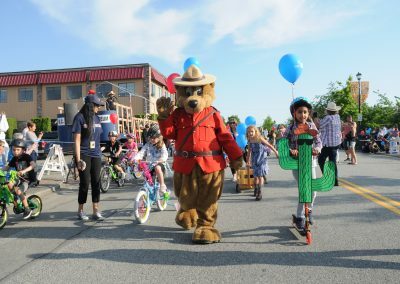 Following the Skateboard demonstration is a Western themed Bike Parade, where kids show off their creations to the crowd and return to the main stage for a number of randomly drawn prizes including $100 gift certificates provided by local businesses. 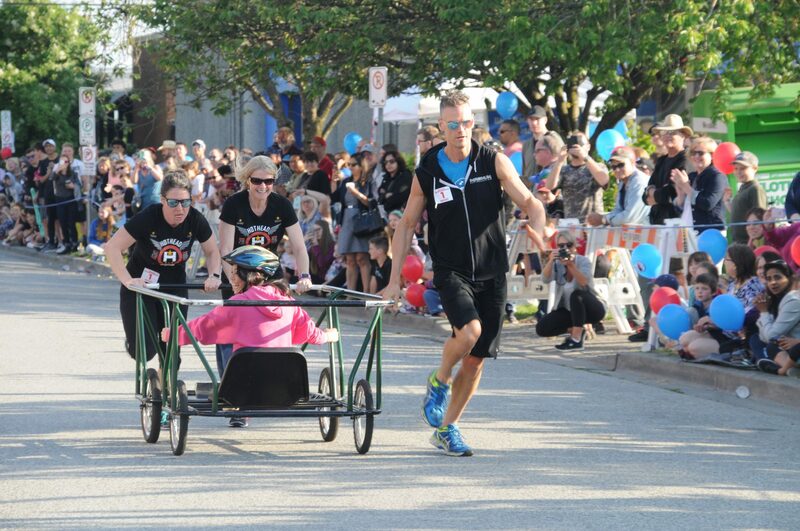 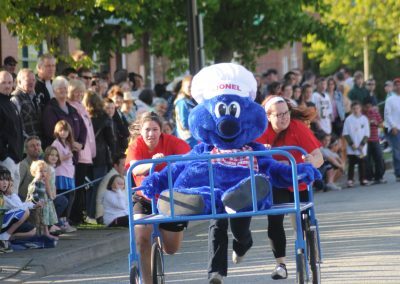 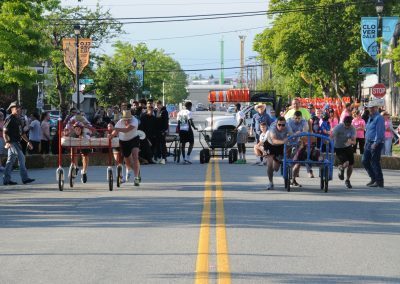 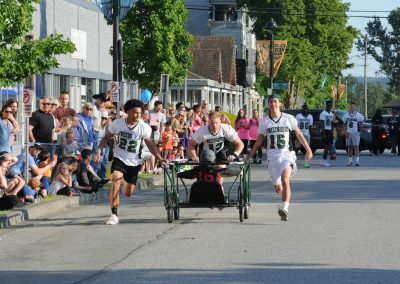 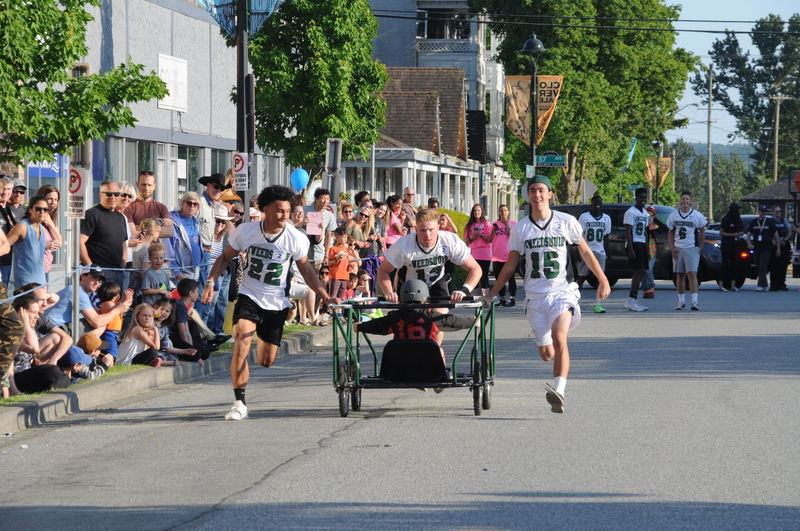 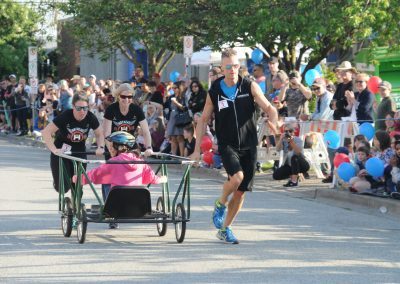 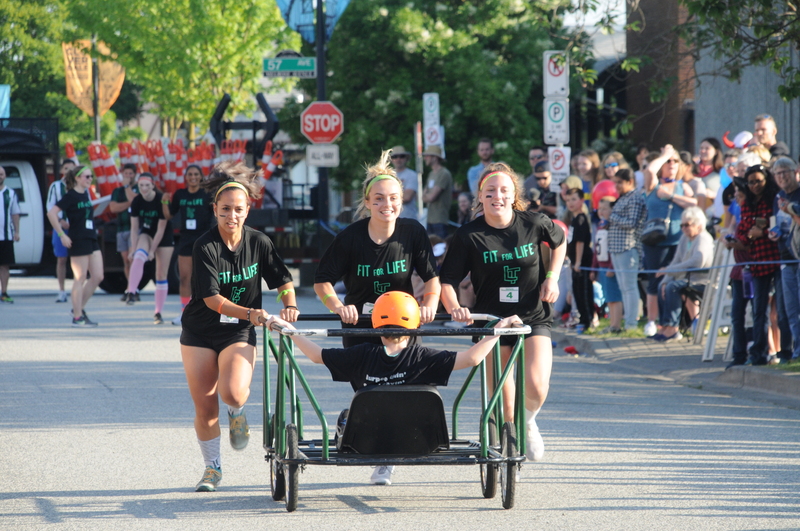 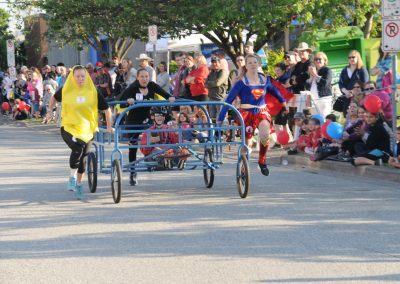 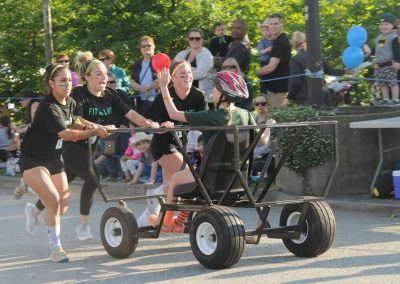 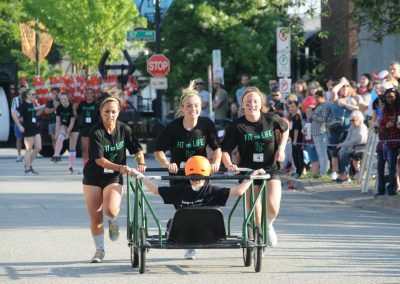 The main event is an elimination-style Bed Race where heats run in six categories (men, women, media and mixed) until a winner is declared. 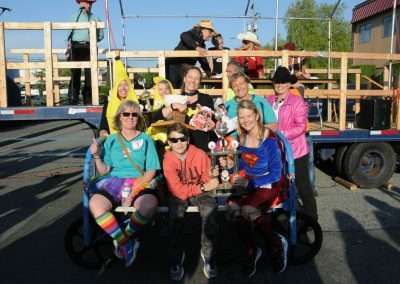 The prizes for the winners of each division are just as quirky as the race itself: the winners of the men’s race receive the coveted Bed Pan trophy, the women’s division competes for the Chamber Pot and the media division go after the Stone Pig prize. 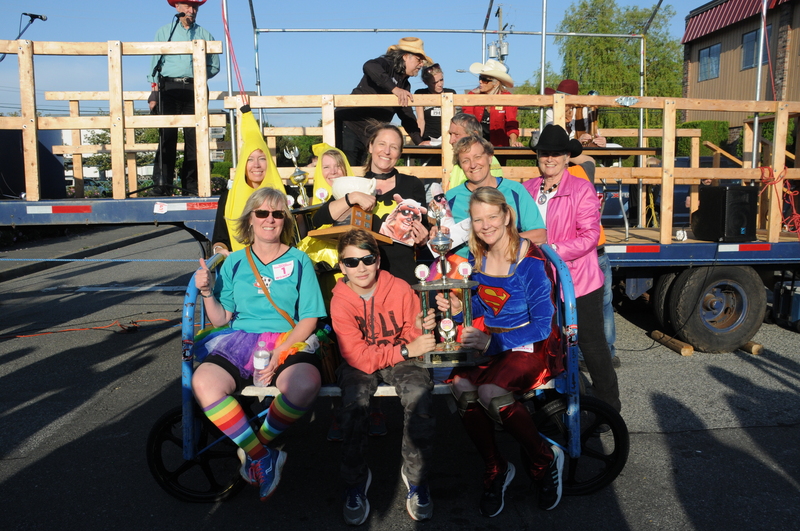 There are also prizes for the best-dressed team. 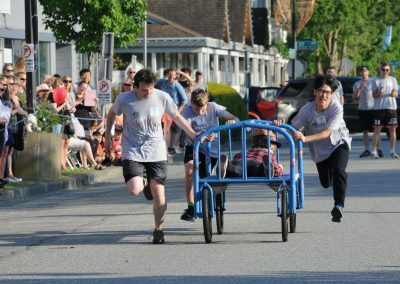 The men’s team consists of six men who push the bed with a lady on it. 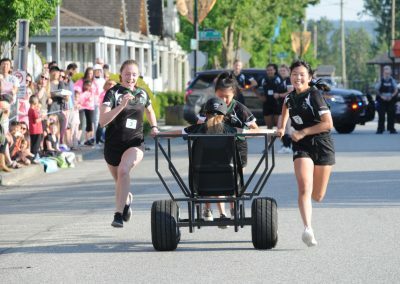 A women’s team consists of six ladies who push the bed with a man on it. 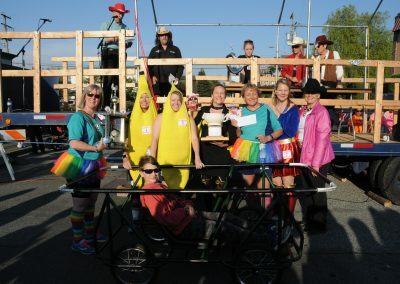 A mixed/media team can be a mixture of six women and men, plus a rider, but the team must have at least two women pushers to qualify. A mixed team will consist of six pushers, at least three of which must be women and a rider of choice. 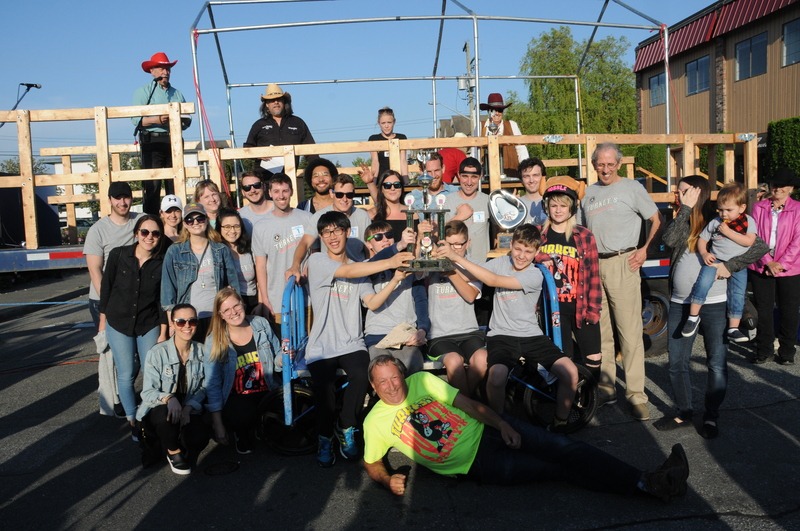 Many thanks are owed to the following volunteers who made the event happen: Stage volunteers from the BC Vintage Truck Museum, Brian Busby, Treh Bhullar, Yosef Drysdale, Mason Goddard, Kaiden Lilley, Kojo Odoom, Ethan Rivas, Rick Hugh, Cindy O’Brien Hugh, Norma Brown, Patrick and Janet Howell, Cindy Herbstriet, Shannon Claypool, Randy Miller, Rob “Turkey” Kielesinski, St John’s Ambulance, Sources WorkBC Employment Services Centre – Cloverdale & Stephanie Pritchard, Dist 4 RCMP volunteer officers, plus a few others that escape my memory (deepest apologies) and last but not least the supportive businesses along 176A St between 58 Ave and 57 Ave. Just prior to the event was our annual skateboard demonstration by competitors from the World Round Up Freestyle Skateboard Championship. 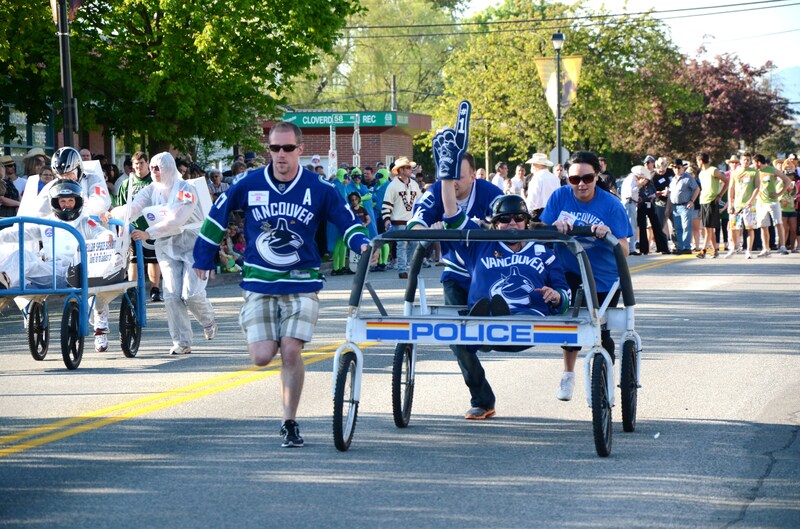 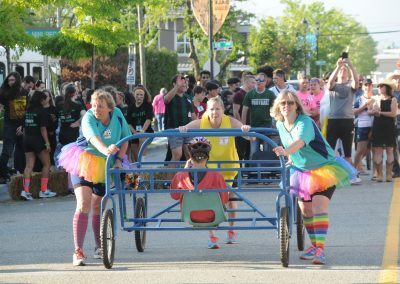 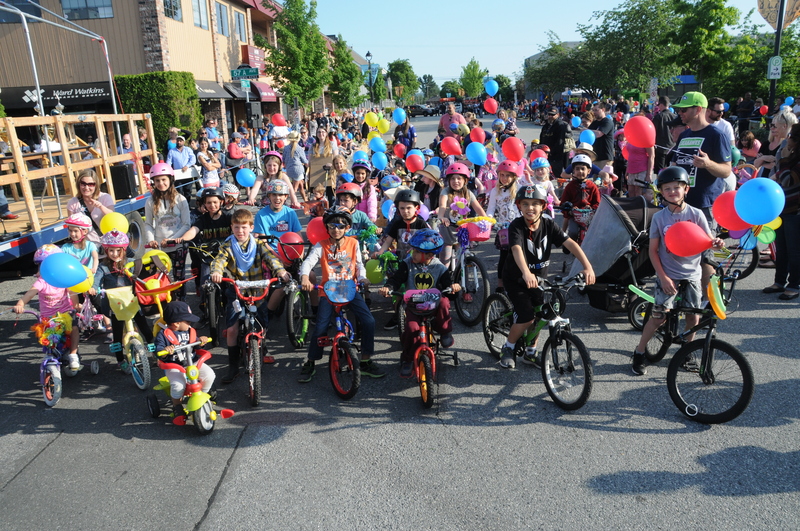 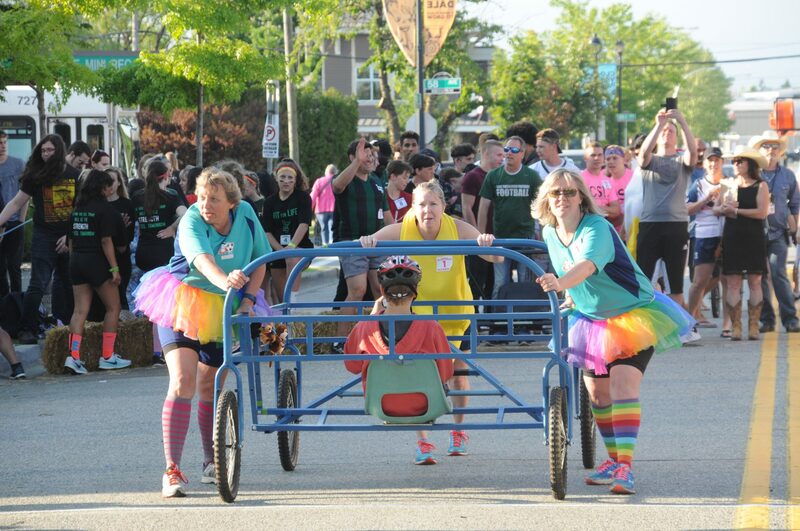 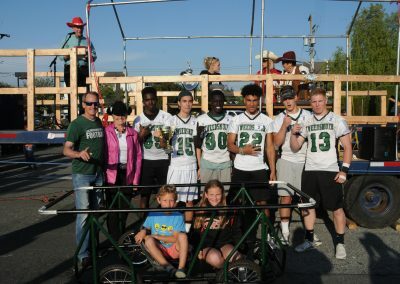 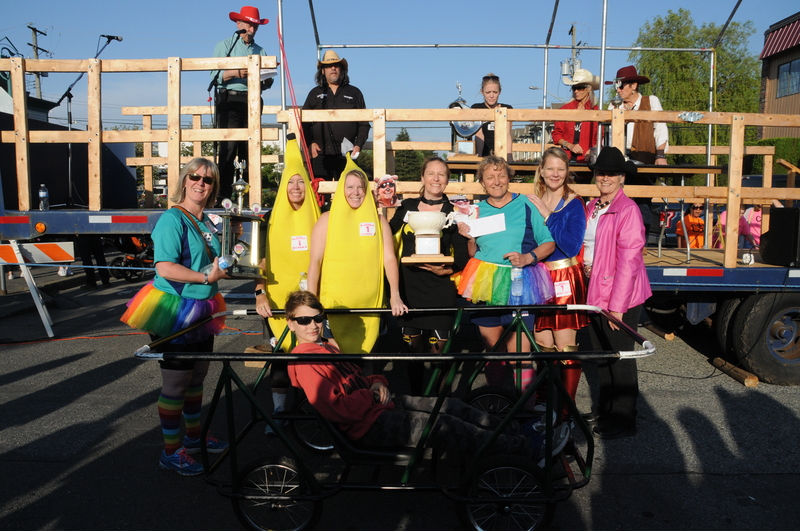 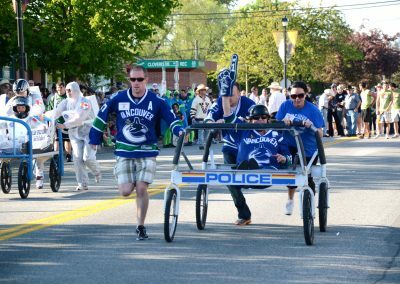 More thanks must go to the following sponsors of the Decorated Bike parade & Bed Race which includes Bruno Zappone/Cloverdale Lions, Kearney Funeral Services Cloverdale, Create-It-Emporium, Michaud’s Salon Spa and Wellness Centre and Harry & Sons Barber. 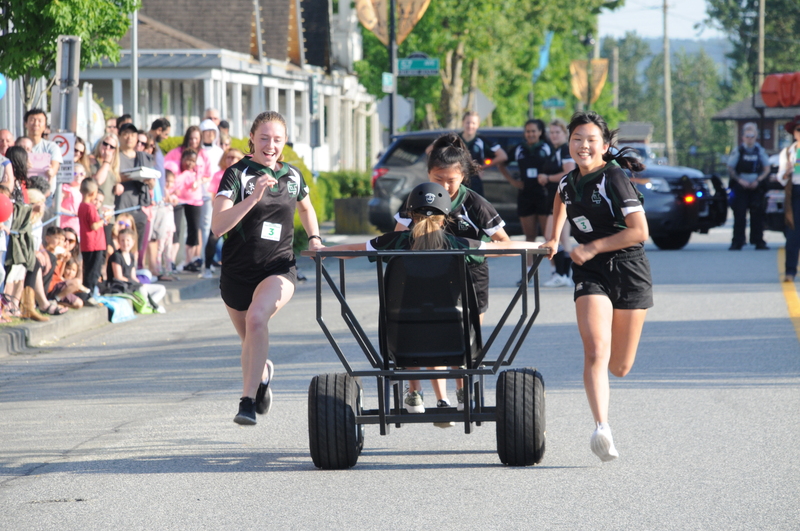 This year four prizes of $250 each was raised for Lord Tweedsmuir Secondary student groups ie Soccer, rugby, etc. 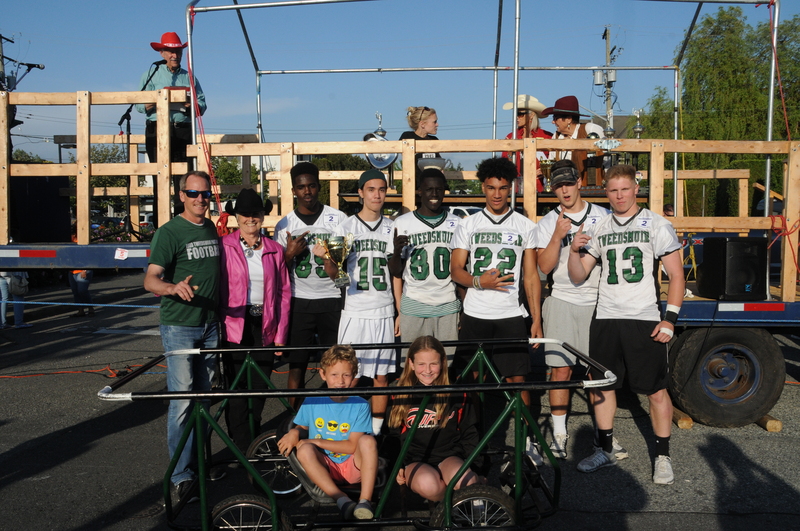 that was donated by Venus Cleaners, Cloverdale District Chamber of Commerce, Turkey Party Makers, and the Rodeo Youth Initiative Foundation.